SDHS Performance – Southern Dominion Health System, Inc.
Southern Dominion Health System, Inc. is designated as a Federally Qualified Health Center (FQHC). Which requires us to report performance data to Uniform Data System (UDS) annually. In order to obtain Patient Centered Medical Home (PCMH) certification SDHS shares our performance results publicly. 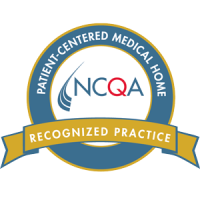 The Patient Centered Medical Home (PCMH) is a health care setting that facilitates partnerships between individual patients, their personal provider, and when appropriate, the patient’s family. Care is facilitated by registries, information technology, health information exchange and other means to assure that patients get the indicated care when they need it in a culturally and linguistically appropriate manner.